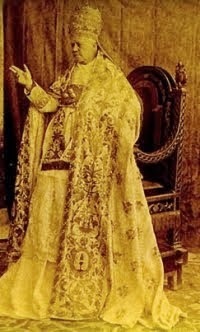 There is a gap today in many peoples understanding of the Holy Catholic Faith. 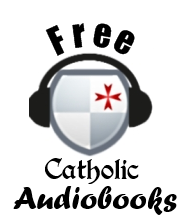 What is the Magisterium? What authority does magisterial teaching have, and what degrees of intellectual assent are we required to yield to magisterial teaching? 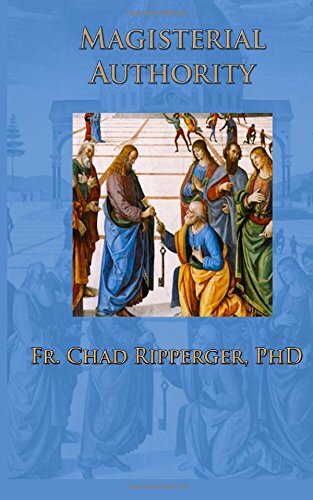 In this short and understandable work, Magisterial Authority by Father Chad Ripperger, the author does a solid job explaining the above in a way that most people who have reached the age of maturity will understand. This book has already been reviewed here at Rorate Caeli by our friend Ryan Grant of Mediatrix Press. While I enjoyed the book and think Ryan did a great job with his review, I had some different thoughts on the work. There has been some discussion in the press that the Pope will be publishing an encyclical in the near future throwing his support behind the theory that man is causing global climate fluctuations. Fr. Ripperger's helpful book examines the Pope's authority on matters of science or on other topics outside of faith and morals. If the Pope declares that the science behind man made climate change to be true, does that bind on the conscience of the faithful to accept it as well, or else risk becoming a dissident if one does not? In my mind this raised some further questions which perhaps someone can explain for me. Why is the cut off date 1750 if the Church stills needs their assistance, according to Scannelli? Why is it limited to the Scholastics? Is this idea advanced by Pope Pius IX based on previous teaching on the same topic, or is this just one thought in his magisterial teaching? Is this statement asserting the infallibility of a consensus of theologians itself infallible? From what I understand from Fr. Chads book, not every statement in an encyclical is infallible. Who determines if there is a consensus? Reading all the works of the scholastic presents a practical problem to everyone (even Bishops) except other theologians. One would have to rely a great deal on the integrity of the theologians to point out when there is a lack of a consensus, (which many of them did, like St. Alphonsus, who would routinely cite people who disagreed with his opinion and then state why the thought they were wrong). This could lead to assuming a false consensus when none exists, a sort of “hyper-infallibility” every time someone reads a few theologians in agreement with each other from that era. In the fourth essay ‘The Proper Response to an Erring Magisterial Member’ Father Ripperger provides some very sound and practical advice that can be very helpful to maintaining peace in ones soul in these tumultuous times. 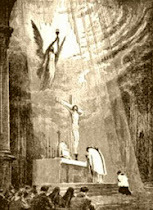 I thought the advice to pray and do penance when one encounters such a thing to be most excellent. It reminded me of a similar exhortation in the Ladder of Divine Ascent by St. John Climacus, that before reproofing one’s brother one should pray and do penance in secret for him. I would like to add a few thoughts to the last point in the essay: to examine ones conscience, asking “what have I done to deserve better leaders?”. 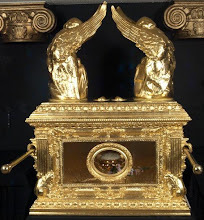 My desire to elaborate comes in part from the use of the quote from St. John Eudes in the text used in Fathers exhortation, the quote that is ubiquitous in traditional catholic circles from Catholic sites, blogs, forum signatures, memes, and has become a traditional Catholic cliche. The reliance on this singular quotation is curious, since there are many other works on calamity and why bad things happen written by greater authorities that appear to be neglected such as: St. John Cassian’s conference on the Slaughter of Holy Men, and even more modern works like Reparation to the Sacred Heart of Jesus by Father Raoul Plus (A slightly abridged version on Audiobook here). I wish to draw from that well of knowledge of St. John Cassian, not in opposition to examination of ourselves, or that bad leaders are not sometimes a divine chastisement . Rather that bad leaders in and of themselves are an indifferent kind of thing. “But those things are indifferent which can be appropriated to either side according to the fancy or wish of their owner, as for instance riches, power, honor, bodily strength, good health, beauty, life itself, and death, poverty, bodily infirmities, injuries, and other things of the same sort, which can contribute either to good or to evil as the character and fancy of their owner directs.” ~On the Slaughter of Some Holy Men, St. John Cassian. Evil, that is sin we are responsible for can never be forced on us, even if our bodies were possessed by a devil, we are only guilty in so far as we cooperate with evil at the level of our will. Is our anger at bad leaders because we wish to avoid suffering? If our examination of conscience returns us to compunction and a willingness to suffer then it is good, but we should be cautious as to think that even if we and the majority of Christians should show perfect fidelity to grace for the rest of our lives that we would avoid suffering the scourge of bad leaders. 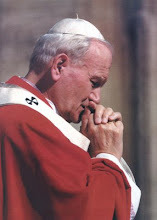 Can man ever make sure, even by prayer and penance? When our ability to say pleasing prayer and make righteous penance comes from the movement of Grace? When our Lord was in agony, He asked that the cup pass from him, was not His Prayer most perfect? Yet, He said “Thy Will be Done”, and we must pray similarly - when we ask God to send us good and holy priests, it must be within the greater context of His Adorable Will, understanding that He may send us good or bad for His own reasons. God allowed the betrayal of Judas to bring a greater good out of it. God can allow bad leaders for the same reason, and that He will give the grace to resist the temptations to sin that arise both from their bad example and leadership, and I cannot conclude otherwise. We cannot make sure why we have bad leaders at any given time, and so we should rather seek to unite ourselves with the will of the Father whether He gives us good leaders, or he allows bad ones for our sanctification. Even though I found certain parts I disagreed with, I still found this work is still most necessary, and I feel that it will become even more important in the coming year. I would encourage you to read, buy and distribute this to your friends and family. In my opinion, its presentation is solid and should appeal to more than just traditional Catholics. I certainly plan on passing around my copy. Regarding Theologians, when churchmen as body speak routinely and consistently what they speak of becomes monumental. Monuments of the Faith cannot be discarded easily since they are built over time; tradition. The date of 1750, I might offer that it is a good cut-off point in general as it is the beginning of Modernity. I personally understand the historic rationale for 1750, but it seems to me that if the consensus of theologians is what you say it is, then it either is or it isnt - I can't see how the consensus can suddenly lose value after a certain date. Aren't bad prelates, by definition, those who are acting contrary to God's will? So how is it ever wrong to ask God to quickly save us from such men (lest we go astray)? Also, I do not think it is correct to frame the question as "to avoid suffering". The problem with bad prelates, at least from where I personally stand, is that the result is usually eternal suffering, not temporal suffering. Under bad prelates, life might indeed be very pleasurable and filled with luxury. They might encourage lukewarmness on religious truths, ask people to "live a little", enjoy the pleasures of the world etc. They may even take part in them and set an example on "how to live a happy life". It is all pleasure. And lest someone object that such a life without God is bound to end in despair, the bad prelates avoid this problem in a two fold manner. 1) He introduces religion in small doses (a fluffy prayer gathering to give a temporal high etc). 2) He probably doesn't oppose euthanasia so that even in despair, one has a quick way out. So in my humble opinion, I think bad prelates are a serious problem and not one where we can simply choose to take upon ourselves as a cross. Every single bad prelate can keep their faithful deceived in error until death (or suicide). I think seeing bad prelates as simply a cross to carry is therefore probably an error. I honestly don't know what people should do.... perhaps they should be more vocal in their protest... I don't know... But I honestly feel that we cannot just see it as a cross. I didn't write the article, but I don't think Noah is suggesting that we do not have a right to wish for, pray for, or expect good prelates. When our Lord says, "Pray the Lord of the harvest to send out workers into the harvest," I presume we have a right to pray for good prelates. I think the point is that we need to see God's will in the current phenomenon. It is not simply Satan undermining the Church, although there are definite areas of demonic activity. This crisis may be not only permissively but positively willed by God as a purificatory chastisement. And while such a chastisement MAY be punishment for sin, it need not always be. To see it as a Cross is not to imply passivity in the face of the crisis. Even as we struggle to reform the Church to make realize the ideal, we offer up our sufferings and bear the Cross insofar as it does not meet the ideal. To carry it as a Cross does not mean we do nothing. My apology if I came across as downplaying the cross of bad prelates. 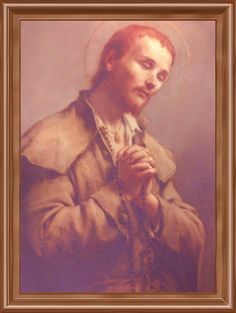 Much like the death penalty being imposed on anyone for being Catholic it would cause a lot of people to apostatize, it also leads to the crowning of martyrs. The act of carrying the cross is not one of passivity, rather it is great labor while suffering under burden, but never the less accepting and embracing what has been given. Even though bad prelates cause scandal, God does give sufficient grace to counter the wickedness of bad pastors. Romans 5:20 says that when sin abounds grace abounds even more. Faith is given and maintained by grace, it can be tested by a bad prelate, but it cannot be lost except by sinning against it. Sin is in the will, a bad prelate cannot yoink faith from me, I have to assent to his error. "The Catholic schools from the 12th century, even to the middle of the 18th century, and even more the theological schools on which we are treating, were universally considered under the tutelage and under the provident care of the Church. I speak deliberately on the more ancient schools, because in them the relations on which I am going to speak are more evident as far as the just et factum. In more recent times, however, although the jus can not fundamnetally change, the factum nevertheless has not always and everywhere been clear by equal evidence on account of the violation of law, in which the civil power has endeavored to sever by force that intimate connection of the schools, even the theological schools, from the authority of the Church. 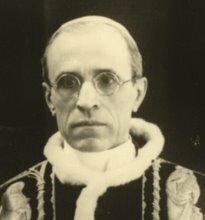 Therefore, whatever the state of the consensus of the more recent schools, by the innate ecclesiastical character, and by the kinship with the catholic understanding of the Church herself, at least it is certain that all of the older Academies were considered legitimate if only because they were under the authority of the Apostolic See. They were erected and fortified by a pontifical charter, constituted under the continual vigilance of the same Apostolic See, so that their every right, privilege and authority in teaching derived from the Church. Next, according to this intimate connection with the Church and the relation of the theological schools with the whole college of teachers, the scope was put in place for sincere exposition, explication, and defense of the doctrine and discipline of the Church. 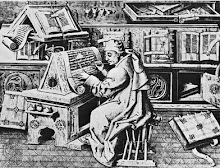 If one among the teachers appeared to incline to dangerous opinions, they were immediately checked both by the Academies themselves, as though through a sub-delegated authority of proscribing propositions as well as by scientific censures, and by the proper authority of the Bishops, and at length, by the supreme Magisterium of the Pontiff." (De Divina Traditione, Thesis XVII, pgs. 198-199, to be published in February, at least we hope). 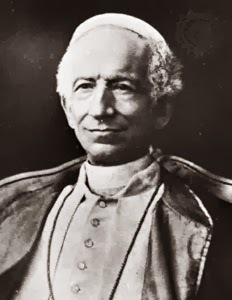 The Schoolmen derive their authority not from their collegial teaching, but in as much as they are chartered and under the authority of the Magisterium, their local Bishop and the Apostolic See. An example of how this worked was in 1574, at Louvain (a long way away from Rome), there was a certain teacher named Michael Bayye, but he is known by his Latin name Bajus. He hated all scholasticism, and propounded various heretical teachings on free will, taking Paul and Augustine as his only guides. St. Pius V formally condemned him, although, out of respect, did not formally name Bajus, his name was affixed later in the dogmatic manuals. Thus the correction was given, and soon the school's teaching conformed to what had always and everywhere been believed, albeit it took some work still. So the 1750 date is connected around the severing of that connection with the Church via the heresy of Fabronism. This taught the state was the guarantor of the Church civilly and should have care of Catholic seminaries, universities, appointment of bishops and receipt of benefices and tithes. Moreover, it was being put into action by Catholic rulers all over Europe, specifically in Austria by the Emperor Joseph II. After that you had the French Revolution and the Napoleonic code, and the revolutionary movements that culminated in the loss of the Pope's temporal sovereignty. So the Factum, of the connection of the schools could no longer be taken for granted. Therefore after 1750 (which is when Joseph II begins in Austria, more or less) the schools do not have the same authority. The only exception to this has been in the Roman Schools. So while it is a rule of thumb, as it were, it is not an arbitrary one.